NYC, 02/12/2019, 7:00PM. 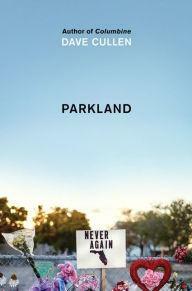 Parkland: Birth of a Movement . On the first anniversary of the events at Parkland, Dave Cullen, the acclaimed New York Times bestselling author of Columbine, offers an intimate, deeply moving account of the extraordinary teenage survivors who became activists and pushed back against the NRA and feckless Congressional leaders--inspiring millions of Americans to join their grassroots #neveragain movement to invoke lasting change.